J.A.S.S. #46 : J.A.S.S. POP! 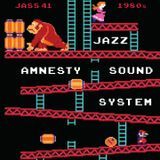 The Jazz Amnesty Sound System (or J.A.S.S.) is run by Montreal djs Andy Williams & sweet daddy luv. With an honest admiration, appreciation and awe for the dedication and skills of its honored players, these veteran selectors delve deep into the rich history of jazz in an attempt to weave its story. From its humble beginnings at the mouth of the Mississippi, through big band, swing, bop, cool, avant-garde, dancefloor, free, fusion, funk, electronic and out into the world where jazz has been assimilated and combined with many non-western musical styles. 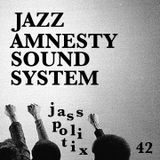 The Jazz Amnesty Sound System will be playing the classics that helped define all these jazz sub-genres as well as prime examples of sheer beauty created by artists that often get overlooked. If you dig jazz you&apos;ll dig J.A.S.S.